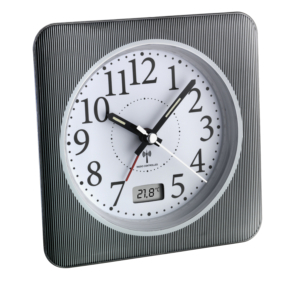 Do you prefer an alarm clock with a classic dial, but would still like to be awakened on time, to the minute? 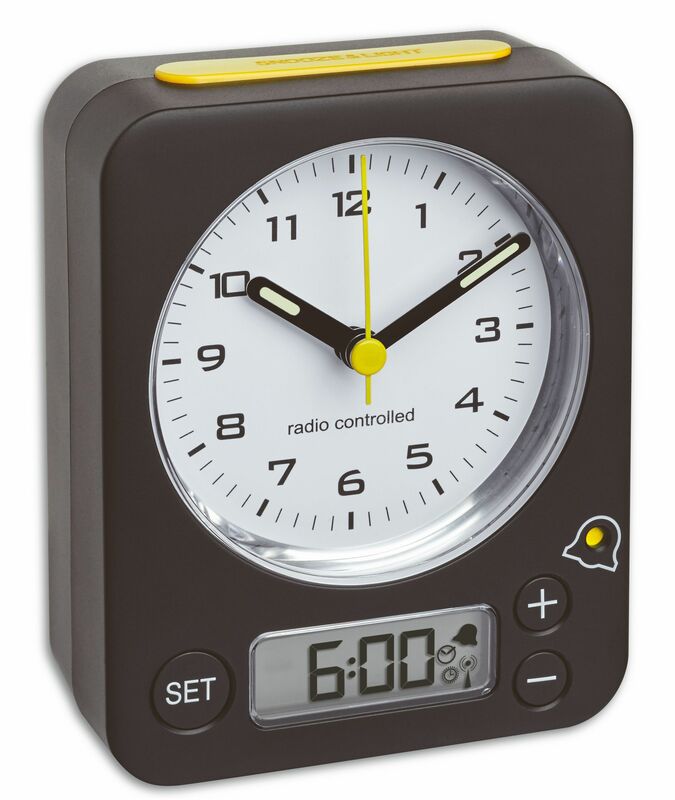 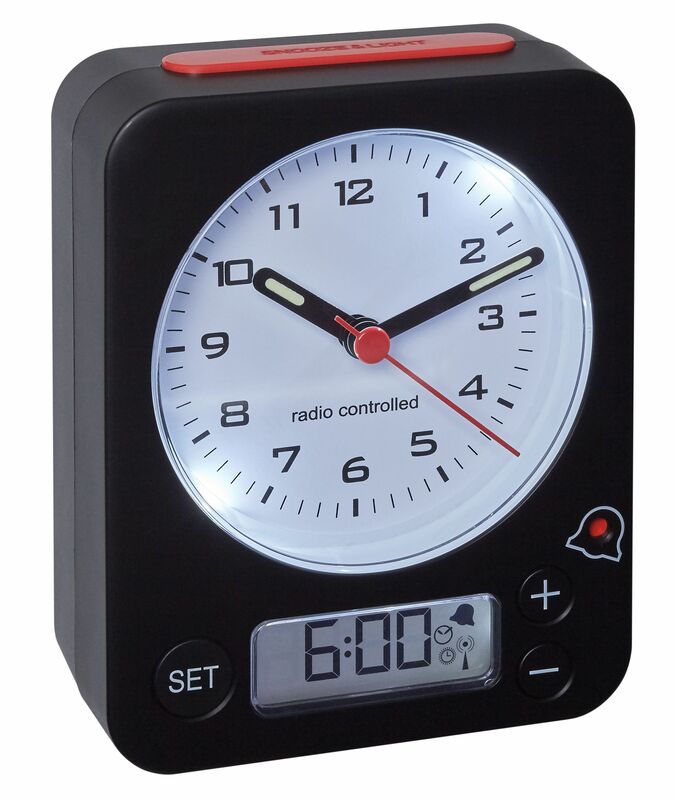 Then this radio-controlled alarm clock "COMBO" from TFA is perfect for you. 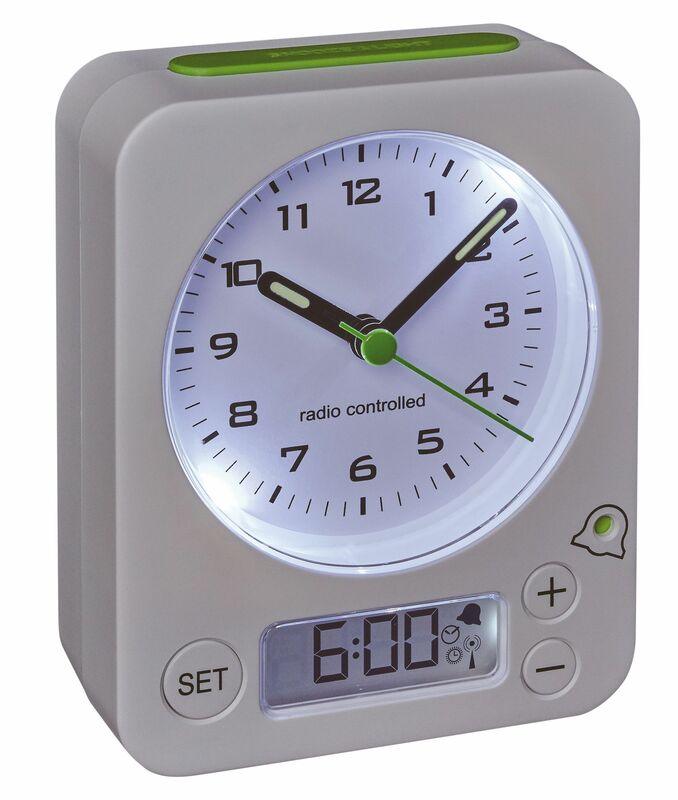 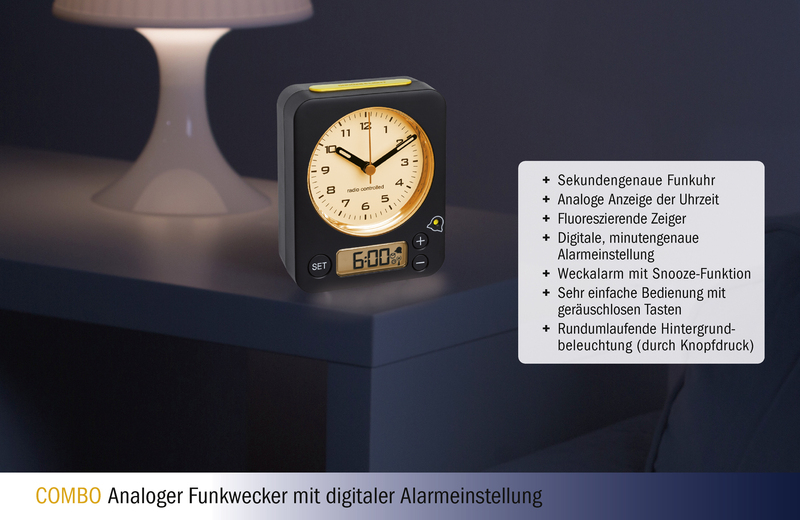 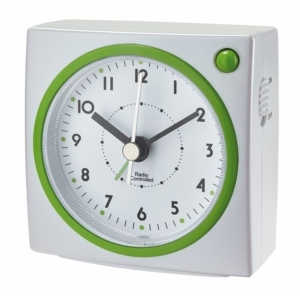 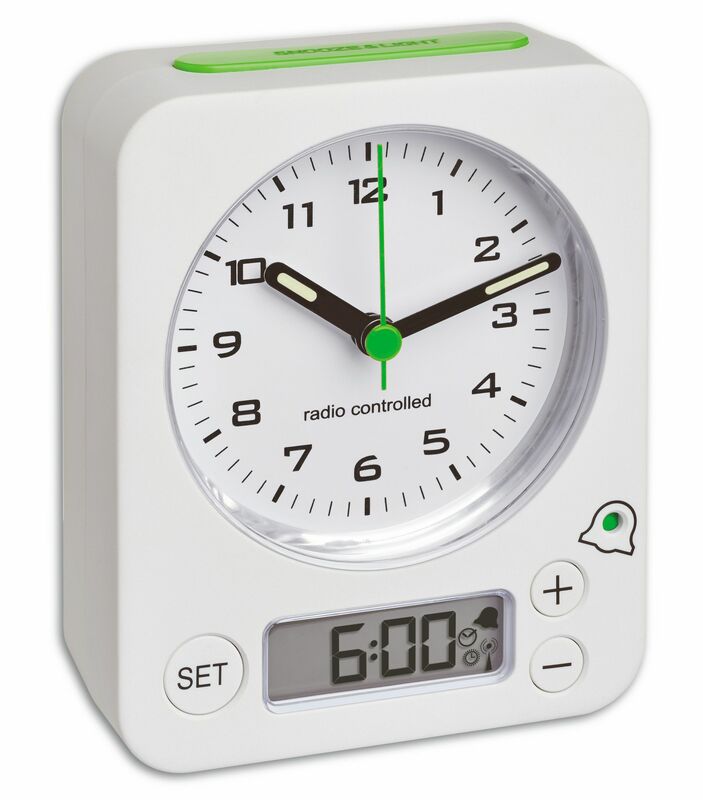 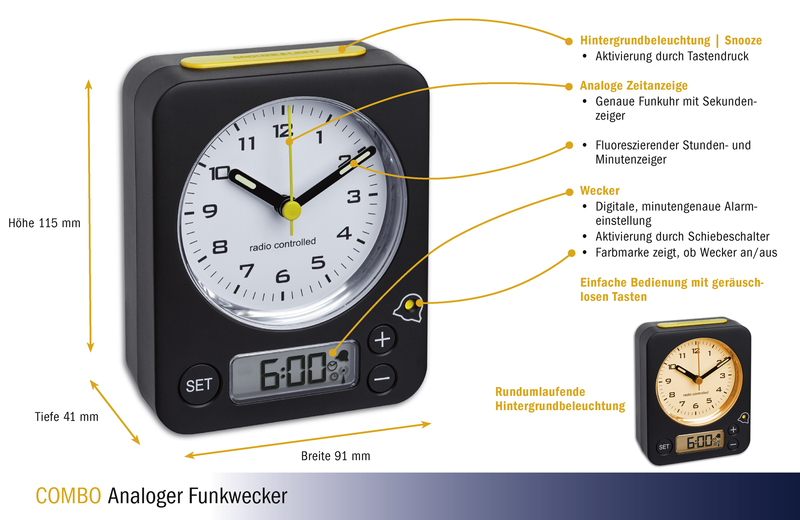 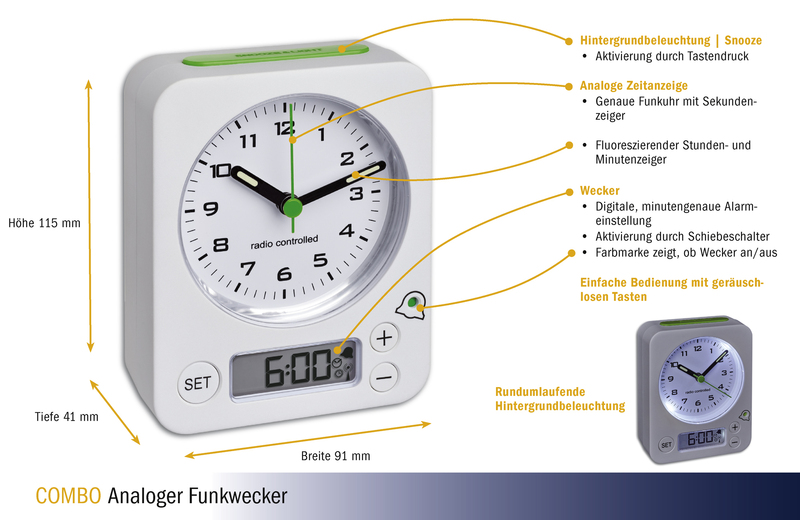 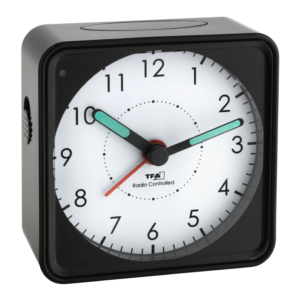 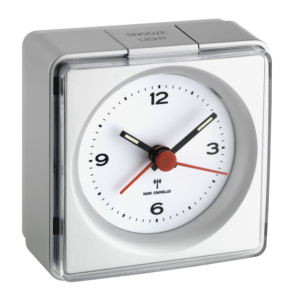 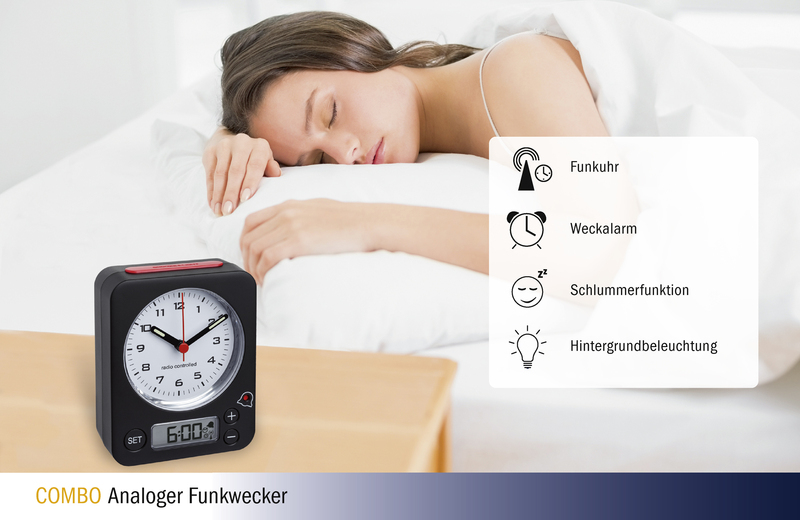 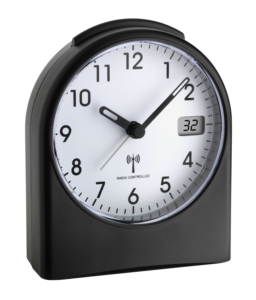 In addition to the analogue time dial, the alarm clock has small digital display for the alarm time. 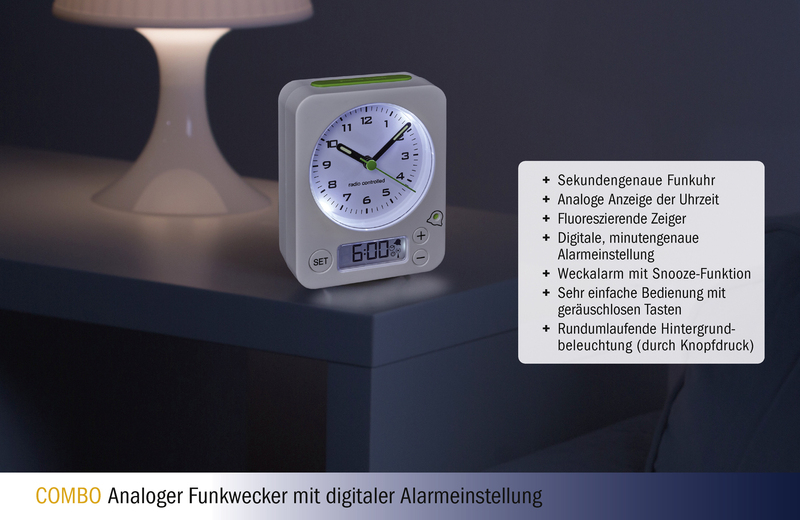 To activate the alarm, just slide the side switch upwards. 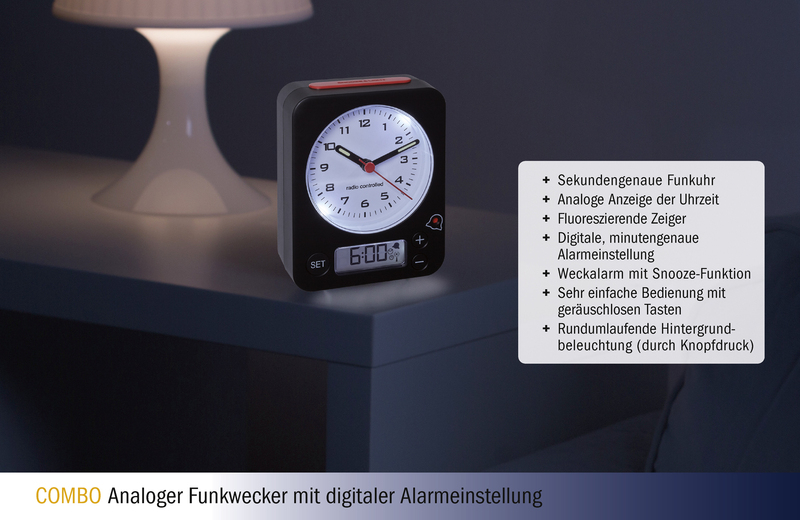 The coloured indicator shows at a glance whether the alarm is active or not. 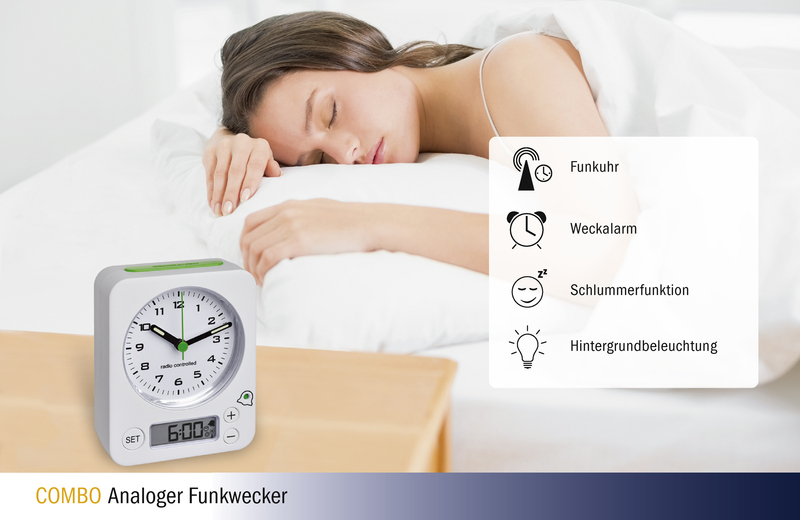 And if you don’t want to get up right away, you can wake up a few minutes later with the snooze function. 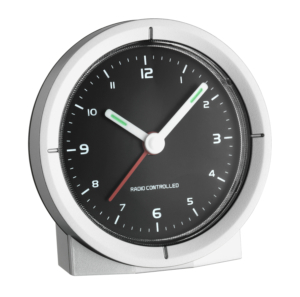 To ensure that you can read the time well at night, the display is illuminated at the push of a button.